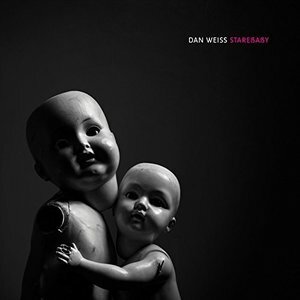 Dan Weiss' Starebaby is both terrifying and thoughtful. The balance it achieves might be even more terrifying. Pull on a rubber band far enough, and it will snap. The act can be broken down into one long action followed by a short reaction -- the pull can last many times longer than that little snap. That is just one metaphor that comes to mind when I hear one of the reoccurring melodies through drummer Dan Weiss's album Starebaby. A handful of lengthy notes stand in contrast to the shortly-clipped ones at the end of the melody, defying a less-than-tonal figure with even more atonality. With a song title like "A Puncher's Chance", the tension built into the melody goes far beyond rubber bands. It spills into multiple musical genres at once without asking for permission, landing a punch to anyone who thinks that jazz and metal shouldn't mix. Starebaby didn't just roll out of a few studio sessions the way some of these types of albums do. This band -- Matt Mitchell and Craig Taborn on keys, Ben Monder on guitar, and Trevor Dunn on bass -- was a combination that Weiss has been trying to assemble for ten years. All of the above are in high demand for studio sessions and tours, as is Weiss himself, so the music that he composed for Starebaby had to wait until everyone could do it together. Aside from making their money by writing and performing jazz, everyone in this quintet seems to have an interest in metal; something Weiss seizes upon in his composing here. Monder has more than a few dirty pedals and crunch channels going here, meaning that Starebaby could be unlike any jazz album you've heard, even if you follow Pi Records religiously. "A Puncher's Chance" begins quietly with Monder playing the rubber band-esque melody on the acoustic guitar. This "calm" doesn't last very long as the music opens up to bass-heavy riffs and eerily wandering piano breaks. A similar melody is twisted around in "Annica" where Mitchell and Taborn hang notes over the mix like deadly icicles. Weiss's kick drum is always pounding along with Dunn, who spent a portion of his career throttling the ideas of "rock" and "jazz" in both Mr. Bungle and Secret Chiefs 3. But for all the bluster and noise the Starebaby stirs up, there are just as many moments that go deathly quiet as Monder and one of the pianists get into a competition of who can play the softest. The ending of "Cry Box" is one such instance, where the track doesn't so much conclude as die an ambiguous death. This mystery tips into the following track "The Memory of My Memory", where musical traits like a meter or a key signature are treated as things that are just floating by in the night. The first half of its ten minutes are spent just building to the metallic boil that overtakes it in the second half. But "The Memory of My Memory" is only the second-longest track. The eighth and last track, appropriately named "Episode 8", goes on for more than 14 minutes. It's in "Episode 8" where the opposing extremes of the sound are carried further. Instead of plaintive Bill Evans-esque moments on the piano, the highly kinetic math metal gives way to soaring ambience as Monder's Floydian performance is backed by synthesizers. It's hard to tell which part of "Episode 8" will leave a deeper impression -- the aggressive bass synth lines or the Eno segments. You could say that for all of Starebaby. It's gentle and raucous traits seem to be split down the middle, making it a unique achievement for its composer/bandleader and modern jazz in general. It shows that you can be both tender and hard and not bludgeon the listener with lofty ideas of the avant-garde.